Our featured job of the week is for our client, an NHS Trust located in the South East of England who are looking to appoint an Interim Trust Solicitor ASAP for up to 3 months in the first instance. This role will be at interim contractor rates under the CCS NMNC Framework. 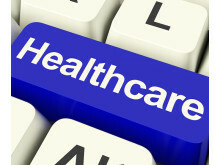 Our featured job of the week is for is an integrated Health and Social Care provider across the South East, specialising in hospital discharge and admission avoidance services. 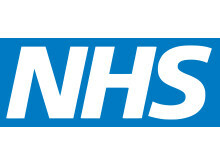 They are now looking to appoint a Head of Service Delivery who, reporting into the CEO, will be responsible for leading the operational teams to deliver innovation and excellence in care for their patients. FINEGREEN DELIGHTED TO HAVE BEEN PART OF RAISING OVER £3 MILLION FOR KEY 103’S CASH FOR KIDS MISSION CHRISTMAS! THANK YOU EVERYONE FOR YOUR SUPPORT! ​We are delighted to have been part of the Key103 ‘Cash for Kids’ Mission Christmas, supporting underprivileged local children. The campaign raised over £3 million across Manchester and through our own activity, were thrilled to have been able to contribute over 500 toys from generous drop offs at our Manchester Head Office. Thank you everyone who donated to this wonderful cause. Our featured job of the week is for our client, a large healthcare organisation based in the East Midlands, who are looking to appoint an interim Health, Safety and Compliance Specialist for a period of 3 – 6 months. 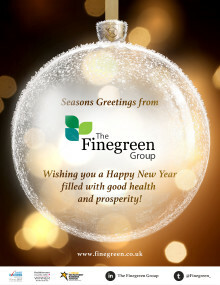 ​As 2017 draws to a close, all of us at Finegreen would like to wish you a very merry festive period and a prosperous 2018! Our featured job of the week is for our client, a private independent living/care home operator, who are looking to appoint a Head of Marketing. The role is homebased, however you will be expected to work in the Head Office in the West Midlands one day per week and the rest of the week will be spent in various site locations. 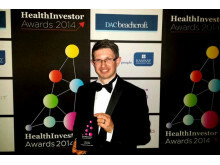 Finegreen exhibiting at the HFMA Annual Conference in London this week! 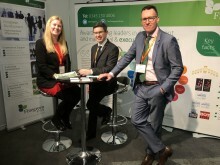 The Finegreen Finance team are exhibiting from today until Friday at the HFMA Annual Conference at the Hilton Metropole in London. If attending do pop by our stand and say hello! 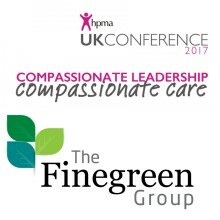 Finegreen exhibiting at the HPMA UK Conference 2017 next week! 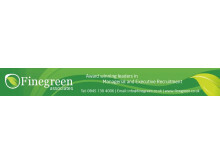 The Finegreen team are exhibiting next week at the HPMA UK Conference, taking place on the 28th and 29th November at the The Queens Hotel in Leeds. As a corporate member of the HPMA, we are delighted to offer HPMA members a 5% discount on framework recruitment fees until the end of the financial year March 31st 2018. To qualify for this offer please visit our stand at the conference. Our featured job of the week is for our client, an Acute Trust located in London, who are now starting the process to appoint the key post of Assistant Director of Programme Management. Finegreen at the LaingBuisson Awards 2017! 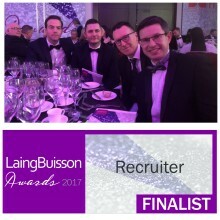 Some of the Finegreen Team are at the Park Plaza Westminster Bridge in London this evening, for the LaingBuisson Awards 2017, where we are shortlisted for Recruiter of the Year. Fingers crossed! Our featured job of the week is for our client, a Trust located in the West Midlands, who are now looking for a talented and ambitious Executive Director of Finance, who can build on their achievements and help them develop a vision of continuous service improvement, innovation and transformation, while maintaining a viable and efficient future. Our featured job of the week is for our client, an NHS organisation in the South East, who are looking to appoint an interim Interim Associate Director Business Development for up to 6 months in the first instance. This role will be at interim contractor rates under the CCS NMNC Framework at interim Band 8d. 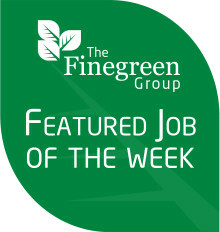 Our featured job of the week is for an interim Director of Public Health for an organisation based in London.